I am a Senior Lecturer in Media and Communication, in the Department of Sociology, at the University of Surrey, UK. My current work focuses on parenting, parenthood and technology, with a particular focus on health and wellbeing. More broadly, I am interested in empirical and conceptual explorations of people's everyday engagement with media and evolving communication technologies. I hold a PhD in media and communications from the Department of Media and Communication at the London School of Economics(2008-2011) where I was supervised by Professor Sonia Livingstone. I was Post-doctoral Fellow at Leuphana, University of Luneburg(2011-2012), Lecturer at the School of Media, Communication and Sociology at the University of Leicester (2012-2017), and then Senior Lecturer at the University of Surrey (2017--). 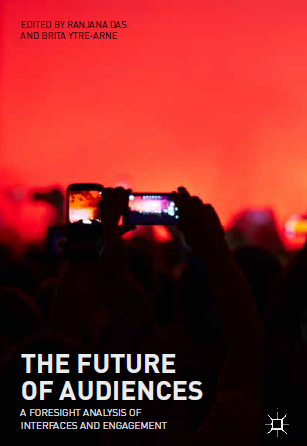 I have directed a research consortium on the future of audiences in the context of emerging technologies (funded by the AHRC, 2015-2018), and have been Chair of the Audience and Reception Studies division of the ECREA (2014-2017). My research is funded by the AHRC, British Academy and the Wellcome Trust.